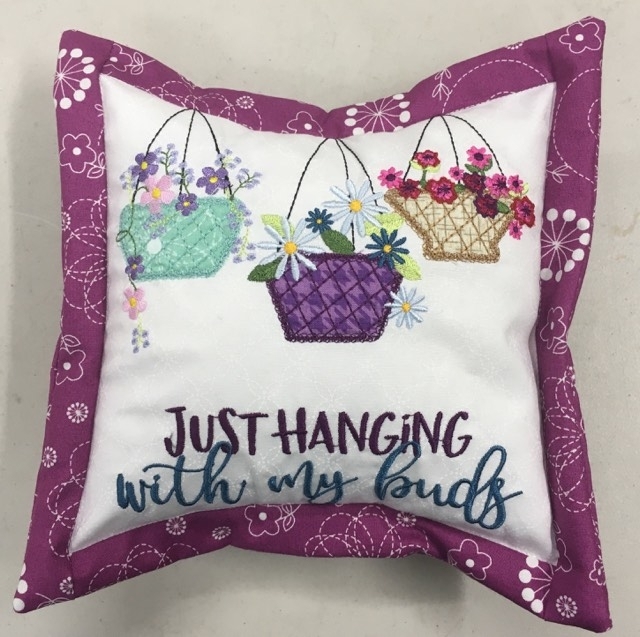 Join us to make an adorable 8" x 8" pillow in your hoop! In this class we will create this adorable 8" square "Bench Buddy" from Kimberbell. It includes learning about re-hooping if you choose to use a 5" x 7" hoop, changing to multiple colors, how to stitch in the ditch and more. This class will be held 10 days. There are 5 spots left out of 6 available!